A judge has ruled against a media request to identify the doctors in a Ontario’s first physician assisted suicide court case. A judge has ruled against a media request to identify the doctors in a Ontario's first physician-assisted death court case. Last week, Justice Thomas McEwen heard arguments from the lawyers of the patient, his doctors and media outlets over an application to keep private the identities of the patient, his family and his health care providers. CBC, CTV, the Globe and Mail, and PostMedia asked the courts to allow them to identify the doctors involved but did not contest the anonymity of the patient or his family. In his affidavit, the 80-year-old patient, identified only as A.B., said he has advanced-stage aggressive lymphoma. He will be asking the court on March 17 to approve his application to die with the help of his doctors. "The confidentiality order is necessary in order to ensure that the applicant, his family, physicians and other health care professionals, are not deterred from participating in a Carter application for fear of unwanted publicity and media attention," Justice McEwen said in his written decision on Monday. The Carter application cited by the judge refers to the case of Carter vs. Canada, the Supreme Court of Canada last year ruled people with an incurable medical condition have the right to ask a doctor to help them die. A woman from Calgary with Lou Gehrig's disease ended her life with help from doctors in Vancouver more than a week ago, after she received a legal exemption similar to A.B. 's request. She's believed to be the first person in Canada outside Quebec to legally end her life with a medical practitioner's help. If the court approves A.B. 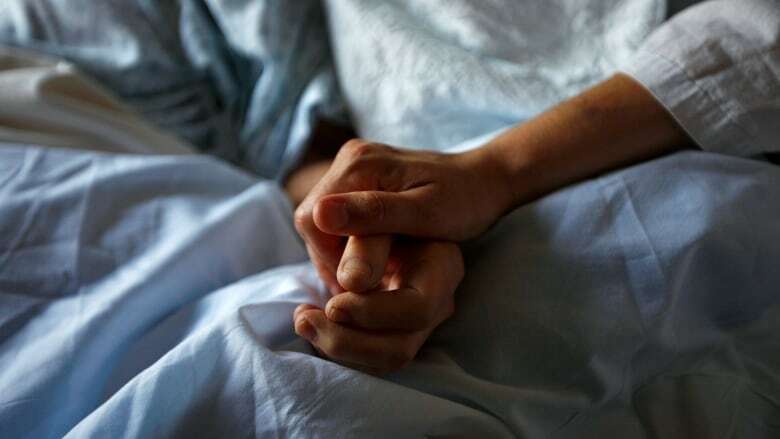 's application, he will be the first person in Ontario to be granted a doctor assisted suicide.